To say that Sir Martin Sorrell's rapid departure from WPP was a seismic event is an understatement. So just what happened in the days leading up to the fall of its CEO? When Sir Martin Sorrell arrived on his own for a meeting with law firm Wilmerhale in London on 29 March, he had no idea that within 17 days he would lose his job as chief executive of WPP after 32 years in charge. 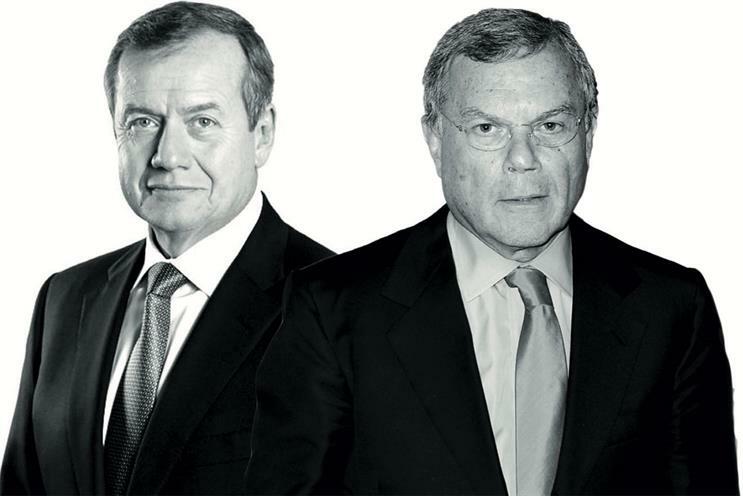 Sorrell (pictured, above right), the most powerful man in global advertising, knew the board had begun an investigation into allegations of personal misconduct against him but was unaware of the details when he faced Wilmerhale’s lawyers in WPP’s Farm Street office. At that stage, only a tiny circle of people inside WPP knew that a whistle-blower had raised concerns about Sorrell’s behaviour – about 10 days earlier. Like many companies, WPP has an internal whistle-blowing system and often receives complaints that are easily resolved. But this complaint was considered sufficiently important and credible that it was escalated through a formal process to reach the non-executive directors on the board. Even now, the whistle-blower’s identity remains a secret but it is thought to have been someone relatively senior within WPP. Once the board was notified about the allegations, they followed an agreed protocol. Chairman Roberto Quarta (an Italian industrialist known as "Bob the Knife" and "Give no Quarta" during his days running engineering companies) and senior non-executive director Nicole Seligman (an experienced US corporate lawyer who used to work at Sony) set up a board sub-committee and hired an external law firm, Wilmerhale, to conduct an independent investigation. The company then began making discreet, internal inquiries about some of Sorrell’s past actions. Sources close to the board insist the directors were not gunning for Sorrell, pointing out they had stood by him for years during a series of shareholder revolts over his pay. But the WPP board was on a collison course with Sorrell from the moment that the lawyers from Wilmerhale confronted him on the Thursday before Easter. That triggered 17 days of drama during which Sorrell was barely in London and WPP’s non-executive directors, who are based all over the world, never met in person as they conducted all their discussions by phone and email. The end was brutal as Sorrell stepped down with immediate effect on 14 April. Sorrell is called to a meeting in London, where he is quizzed by Wilmerhale. The interview "did not go well", according to a source close to Sorrell. Quarta (pictured, above left), fellow WPP board directors and a small group of advisors begin a series of urgent conference calls during the Easter weekend that run from morning until late evening because many of the key figures are in different timezones. WPP’s longstanding lawyers, Slaughter & May and Allen & Overy, provide advice to the board. Sorrell is in Italy to mark his 10th wedding anniversary with second wife Cristiana. He uses law firm Lewis Silkin for advice and does not consider stepping aside as the investigation is ongoing. The Wall Street Journal contacts WPP after hearing about the investigation, throwing the company into panic mode and raising questions about whether someone on the board could have leaked news of the confidential investigation. Richard Oldworth of Buchanan, the WPP-owned City PR agency that advises the company, prepares a possible statement in response. The Wall Street Journal publishes a news story at 9.30pm UK time, headlined: "WPP is looking at CEO Martin Sorrell’s possible misuse of company assets and allegations of improper behaviour." WPP confirms at 10.30pm that it has "appointed independent counsel to conduct an investigation in response to an allegation of personal misconduct against Sir Martin" and says the sums involved are not "material". Sorrell, who has hired crisis PR expert David Rigg of Project Associates in London, "unreservedly" denies the allegation of financial impropriety, while recognising the company needs to investigate. WPP shares drop 2% on the news of the investigation to below £11. Senior figures at WPP warn the allegations are serious. "I don’t see how he comes back from this," one source says. A leading City PR man who is not involved notes that the WPP statement "could have been more helpful to Sorrell". Friends of Sorrell, who is in Rome, brief journalists that the board may have turned against him. WPP insists there is no boardroom rift. WPP shares recover some ground as analysts predict that the crisis could lead to a strategic change in direction and asset sales. News emerges that Sorrell has hired a second law firm, Quinn Emanuel Urquhart & Sullivan. WPP believes it is a positive sign because the hard-hitting lawyers might tell Sorrell uncomfortable truths and encourage a realistic dialogue with the board. Reuters reports that the independent investigation will conclude "as early as next week". Behind the scenes, lawyers for WPP and Sorrell are discussing possible terms for his exit by the end of this week. Sorrell has travelled to the US and makes a planned appearance at Yale School of Management, where he looks subdued on-stage. Senior advertising industry executives say privately that Sorrell’s prospects of survival as chief executive look slim as rumours about the allegations grow. Sorrell’s lawyers signal to WPP that he could be willing to reach a settlement and an exit deal is "under active consideration". Campaign reports Mark Read and Andrew Scott have been lined up as joint chief operating officers on an interim basis in the event that Sorrell quits. WPP shares climb during the week to close at nearly £12. An exit deal is close to completion and WPP readies an announcement for possible release on Friday evening. Sorrell, who is said to be "pretty pissed off", continues to weigh his options. Rumours circulate that Sorrell, who is in New York, is going to step down. He emails staff just after 10pm UK time to announce he is leaving. "It is best for me to step aside" because "the current disruption we are experiencing is simply putting too much unnecessary pressure" on the group, staff and clients, he says, adding: "WPP will always be my baby." He wishes "Godspeed to all of you" and hints at future plans by saying "now Back to the Future". WPP, which has been waiting for a response from Sorrell, confirms his departure. The company says: "The investigation reached a natural conclusion and Sir Martin stepped down." Quarta subsequently makes clear that "Martin resigned, Martin was not terminated" as the investigation had concluded but the board had not yet decided "whether it was appropriate to take action". WPP appoints Quarta as executive chairman and Read and Scott as joint chief operating officers. The group maintains the Read-Scott partnership was always the contingency plan in the event of an "emergency succession" for Sorrell.